Attention 2014 Alligator Sport Hunters! 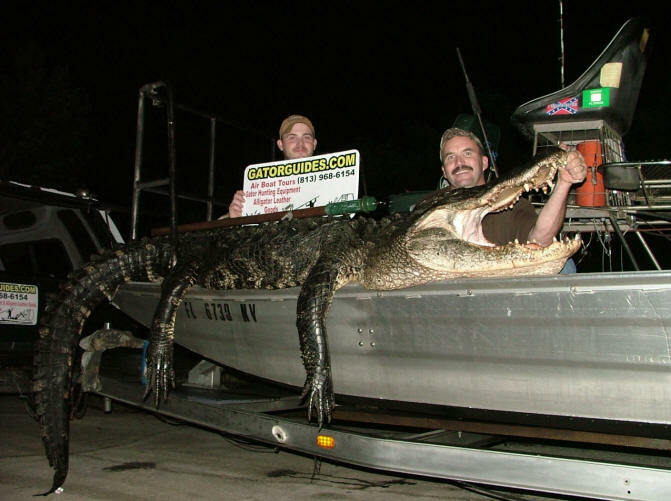 techniques, products and tips concerning your up-coming 2015 gator hunt. We will be taking deposits for the 2015 Public waters hunts. 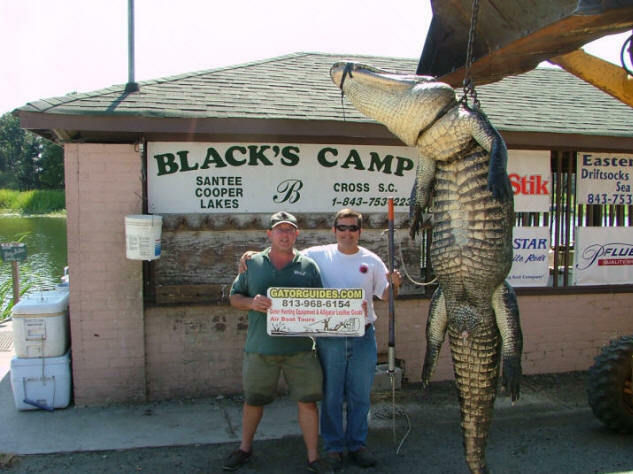 These hunts are $1,500.00 for one hunter/one night of hunting /for one gator up to 9'. The hunt will be upon public waters between August 15 & November 1, at night using either a hand thrown harpoon or bow or both. Price includes your license, tag, equipment, vessel & 1x1 guide service. Guided charter hunts for your tags available in Florida, Georgia, Alabama, South Carolina and Mississippi during the public waters harvest. For Florida (1 hunter, 2 tags, 1 night for gators up to 9’ ) rates start at $795.00 per night or book two nights for $1,500.00. Extra rider or hunter add $75 each/night. Call for availability and pricing for your state. Extras: Extra hunter $250.00, Extra rider $150.00. Extra gators, depending on size from $75-300.00 per foot. Trophy fees apply for gators over 10'. $500.00 deposit & two week lead time. Call for information or to reserve a night of excitement! Steve Berry, Daniel Cochran South East Georgia on Sunday, September 12, 2010. Capt Phil with his 12' lizard from South Carolina's zone 3. It took more than a night to kill this one & a few hours to drag it in. After my hunting buddy Randy Pounds left South Carolina for work, I had to hunt solo. A gator this size is a real pain when you're on a big lake by yourself. 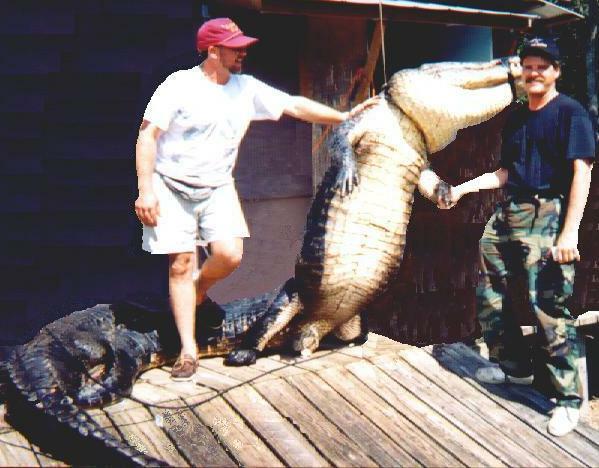 October 1, 2008 - Huge 13-5 gator harvested on Private Lands hunt! Leo Neuls of Chesterfield, NJ harpooned this huge gator while hunting with GatorGuides.com in Polk county during a private lands hunt. We trolled onto this gator not knowing the size. The closer we got, the bigger it looked. Once harpooned, it dragged the boat around the lake, violently shaking it on more than one occasion. When pulled along side the boat, it was then we realized the true size of this monster. Once subdued, it was dragged aboard by Guide Daniel Fagan & his friend Mark.